Greek Prime Minister Alexis Tsipras has written to international creditors saying Greece could accept a bailout offer published on June 28 if several conditions were changed, but Germany said the letter had come too late and did not go far enough. In exchange, Athens wants a euro 29 billion loan to cover all its debt service payments due in the next two years. In the letter, seen by Reuters, Tsipras asked to keep a discount on value added tax for Greek islands, stretch out defence spending cuts and delay the phasing out of an income supplement to poorer pensioners. "As you will note, our amendments are concrete and they fully respect the robustness and credibility of the design of the overall programme," the leftist Greek leader wrote. 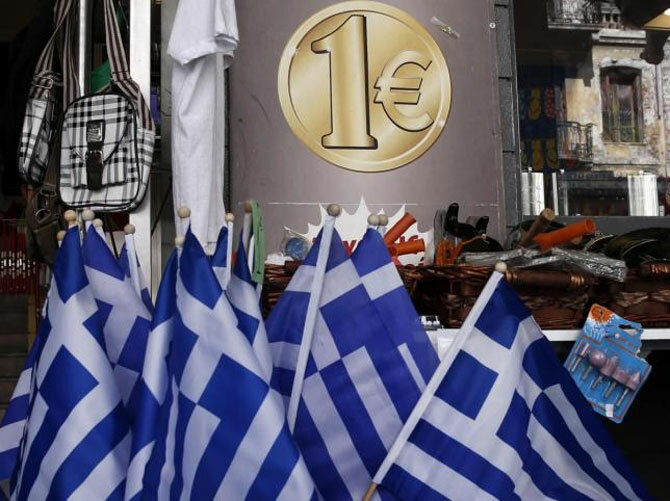 Euro zone finance ministers were due to discuss the Greek request on a conference call at 1530 GMT, but the initial reaction from ministers and senior officials was that the letter contained elements that ministers will find hard to accept. Although dated June 30, it arrived after the 19 Eurogroup ministers had ended a conference call on Tuesday evening and the country's international bailout expired at midnight, when it defaulted on an IMF repayment, euro zone officials said. "The Hellenic Republic is prepared to accept this Staff Level Agreement subject to the following amendments, additions or clarifications, as part of an extension of the expiring EFSF programme and the new ESM Loan Agreement for which a request was submitted today," Tsipras wrote in the letter, first reported by the Financial Times newspaper. Any talks on a new programme would have to start from scratch with different conditions, he told a news conference in Berlin. The Tsipras letter contained only a single sketchy reference to labour market reform, which was one of the creditors' demands to make the Greek economy more competitive. "The new framework will be legislated in autumn 2015," it said without saying what measures it would contain. Tsipras' leftist government wants to restore collective bargaining rights scrapped under previous bailout-driven reforms, and opposes a demand to make collective layoffs easier in the private sector. Tsipras did agree to implement immediately a range of measures recommended by the Organisation for Economic Cooperation and Development to ease doing business and open up closed business sectors.